Jerusalem on Shabbat it’s like a bride waiting under the chuppa aside her Khatan. Her face is covered under the sacred veil until the husband lifts it to declare she is indeed his to love and cherish. Her gaze is soft and her skin emanates spirituality. 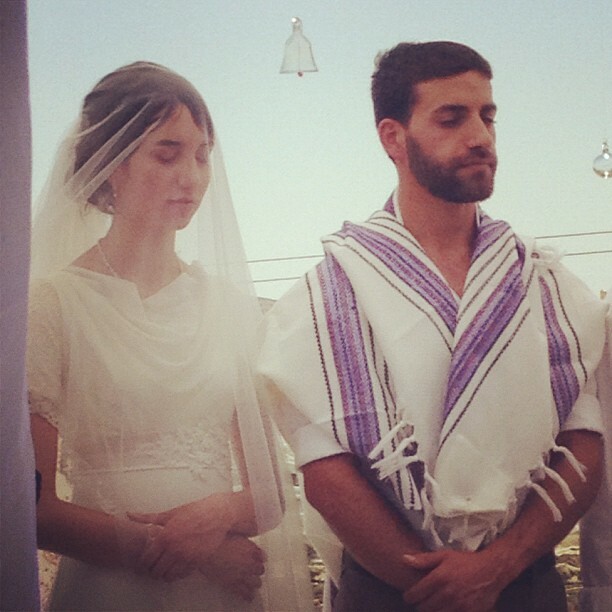 Silence reigns all around them as a sign of purity and simcha. Nothing moves, nothing breath. It’s calm all around. A blissful feeling of peace. No cars, no people talking, no stores open, barely anybody walking in the streets. Everyone in Yerushalaim is turned “inside,” reflecting. Shabbat in the Holiest City in the world is not joke! There are no buses, the elevator works on their own “private Shabbat mode,” (you wait for it to stop at your floor on its own) the lights in people’s house are lit all day long and the “kosher cell phones” (the one with no text messages and no Internet access, but just a limited minutes plan to call for emergencies) are switched off from the day before and they remain stored aside all day. The whole city goes back to the days of the Old Testament when no use of electricity or fire were allowed. The only place where one who is not Shomer Shabbat could go is En Kerem, a little neighborhood with a majority of Christian population where the Virgin Mary was told by God’s Angels she was expecting baby Jesus. Here is the only area where bars and restaurants remain open all day on Shabbat. But why leave this enchanted place where everything seems so pristine and peaceful to go somewhere we can see everyday? I am staying in Yerushalaim, meditating, reading some and doing Yoga in the Park with some girlfriends.